Lance Cpl. 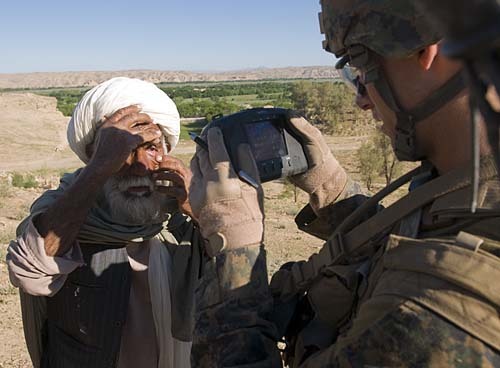 Trevor Wiren gains biometrics from an Afghan civilian using the HIIDES (Handheld Interagency Identity Dectection Equipment System) during an April 28 security patrol in the Upper Sangin Valley. Wiren serves with 3rd Platoon, Dog Company, 1st Battalion, 7th Marines.